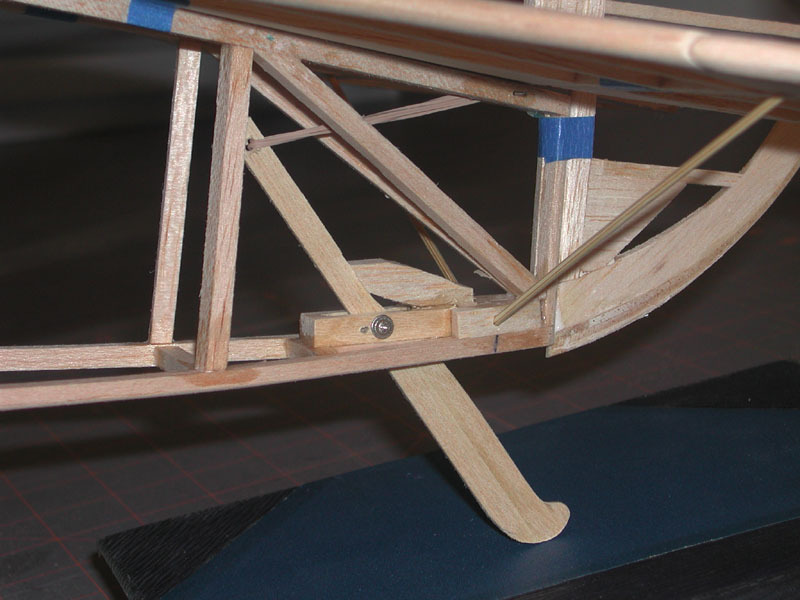 This is a page for the 1/8 scale Fokker D-VIII I'm building. 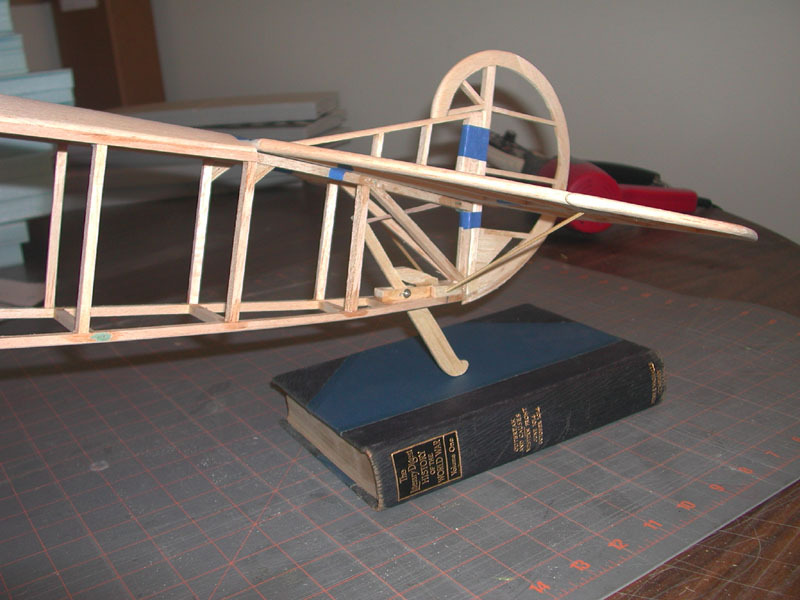 The plane is being scratch built from Cleveland plans. The original plans were for free-flight and have been scaled up so some interpretation is necessary. I decided to build another D-VIII since I really liked my Dare Fokker D-VIII which met an early demise due to a falure of it's light structure. This D-VIII will be full A/E/R/T control. I always intended on getting back to this project. Unfortunately while re-arranging my shop the partially-completed fuselage frame got destroyed by a falling book. The WWI spandau guns, remain a solid part of my product line thanks to this plane. I need to return to it sometime. I have completed building up the prototype spandau guns and they are looking great! Weight is 2 grams each. Since I have more to do on the WWI scale detail parts, I've moved them to their own page. It's located at: http://pease1.sr.unh.edu/aew/rc/wwi-detail. Got the prototype Spandau guns that I designed back from the laser cutter. I have a couple of changes to make, but they look great! Using cardstock for the cooling jackets will create a nice light gun model that will look great. Also worked on the fuselage, adding the front section. I still have to cut out the cockpit opening and drill a hole in the firewall for the motor and wiring. I don't have any photos of this part yet. 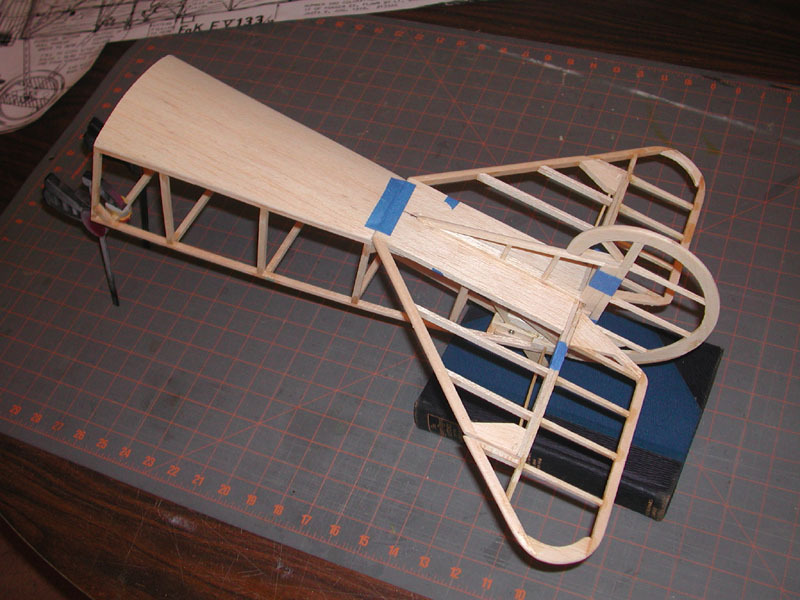 First progress report: Tailfeathers and rear portion of the fuselage are complete including sprung tailskid. 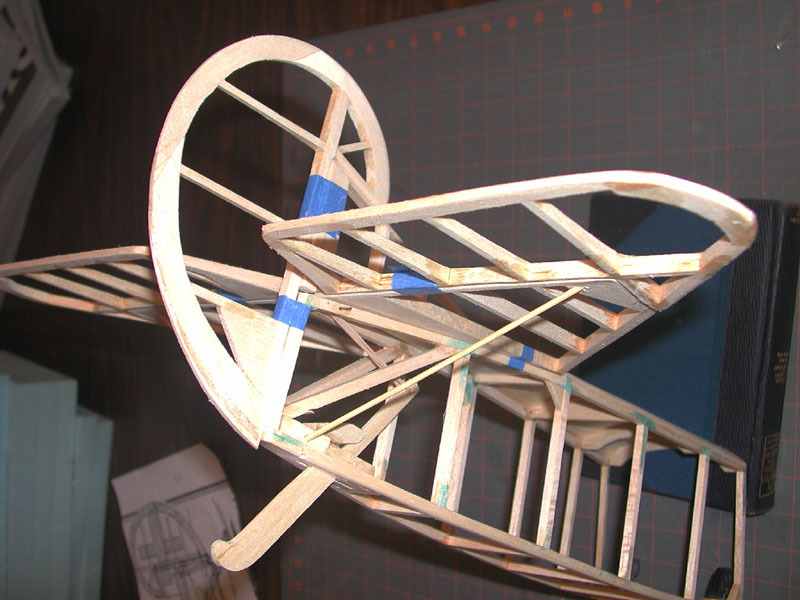 I'm building the fuselage in two parts and will join them after both are complete. This is a technique that Peter Rake uses in his designs to build nice straight fuselages. Parts are just held together with masking tape to check fit.